"Knowledge is Fuel for Change"
"If you cry ''Forward'' you must be sure to make clear the direction in which to go. Don't you see that if you fail to do that and simply call out the word to a monk and a revolutionary, they will go in precisely opposite directions?" Also Read: If you are early, please be sure to wait in the reception area and we will be out to meet you at the time of your appointment. PLEASE SEE DIRECTIONS FURTHER DOWN! CLASS LOCATION MAY CHANGE! WATCH FOR EMAILS. 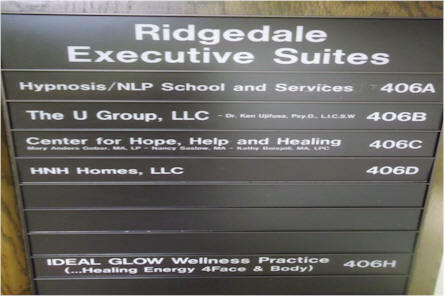 Same address as above but go to the conference room on the first floor. Walk in the front door, walk past the elevators and take hallway to right. The conference room is on your right. TOO MANY CLIENTS HAVE GOTTEN LOST USING IT. PRINT THE DIRECTIONS BELOW W/PHOTOS AND DIRECTIONS. Stay on the frontage road heading West and go past Target. You will be taking a left hand turn with Target remaining on your left. Then there will be a small plaza on your left with a FedEx and Petco in it. Then a luggage store on your left. 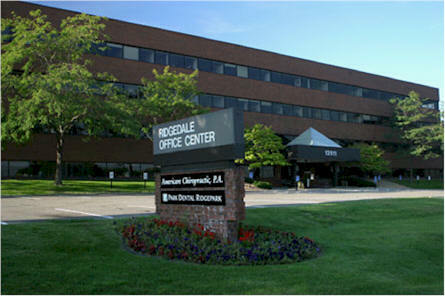 You will next see, on your left, ‘Core Power Yoga’ and after that, on your left, is the Ridgedale Office Center (pictured below). Please Note: You can park in the front or side or there is a parking ramp in the back. The covered portion of the parking ramp is by permit only. 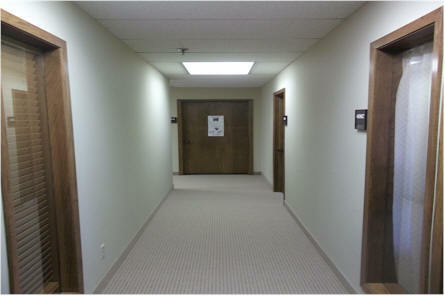 Below are pictures that will help you find your way; especially to the office once you are inside the building. When you get off the elevator on the fourth floor, turn right and then left to go down the hallway. You will pass the women's room, a water fountain and the men's room; all on your left. Below is a sign you will see in the hallway, on your left, just outside of the suite. You are going inside to office 406A inside the suite. Please wait in the reception area until it is time for your appointment. Keep in mind that the sign below will actually be at and slightly above eye level. I had to take the picture the way I did to keep the glare from washing out the picture. 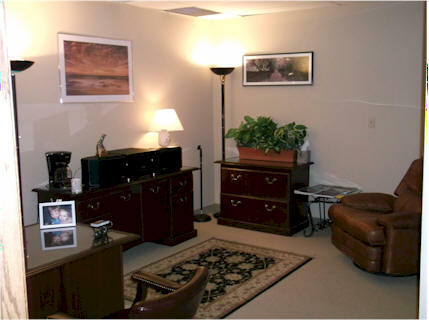 Below is what you will see when you walk into the suite. What you can't see to the right is a very comfortable couch and chair. Wait there until it's time for your session. Then, just walk straight to end of hallway in front of you and then turn left. 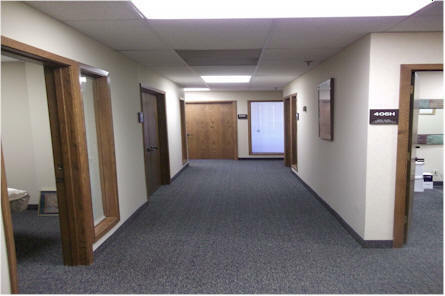 Below is hallway to office. Not quite as wide as it looks though. I look forward to seeing you and thanks for choosing me as your coach.